Yes, it’s that time of year again… And let’s face it, we all procrastinate. But it is no excuse now. 7 – 13 November 2016 is National Organising Week (NOW) with the slogan “Do It NOW”, promoted by APDO (Association of Professional Declutterers & Organisers) – a non-profit body of nearly 180 accredited UK experts who help busy people to organise homes and workplaces. Imagine what your space will look like when it’s clutter-free and picture how you’d like to make use of it. Whether you’re keen to clear a dining-room to entertain friends or to create space for your children to play or study, focus on tangible and positive goals. 2. Look forward, not back. Don’t dwell on how the clutter accumulated or why you haven’t been able to tackle it till now – ruminating about the past isn’t likely to spur you into action. Instead, nurture a positive mindset by rewarding yourself for acknowledging clutter and taking steps to remedy it. into manageable chunks and focus on first steps. Start somewhere that won’t demand too much physical or emotional effort – perhaps a hallway or a kitchen. Monitor progress, celebrate successes every step of the way. Some people find it motivating to take before/after photographs. Your home doesn’t need to look like a magazine spread or to live up to the expectations of others; it just needs to function well for you and your family. Take inspiration from best-selling books and well-meaning friends but don’t feel compelled to follow any one method. Experiment with different approaches to find strategies that work for you. Make yourself accountable to someone who will empathise and encourage. Asking for help is not a sign of weakness; on the contrary, it reflects strength and resourcefulness so don’t be afraid to turn to supportive friends or family. Professional organisers offer practical help and emotional support. Find a UK accredited expert via APDO for some help. Cost-efficient storage solution is important. You’d want to choose a storage provider that does everything from A to Z to give you a peace of mind. 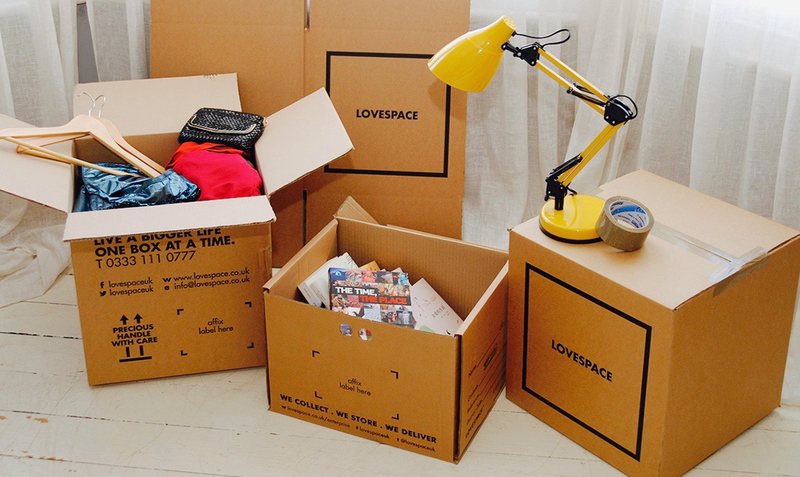 LOVESPACE offer free collection/removal service at your doorstep, store them for just a few £s per box per month, and deliver them back to you whenever, wherever in the UK! Managing your storage account online couldn’t be easier; pack smart and label your boxes accordingly and LOVESPACE will take care of everything else. Click here to get started with a free storage quotation. Juliet is an Oxford-educated lecturer, certified coach, professional organiser and study skills expert. She works with individuals on site and by phone/Skype, runs clutter coaching groups and leads workshops for personal and professional development. Click here for more info or a free consultation.